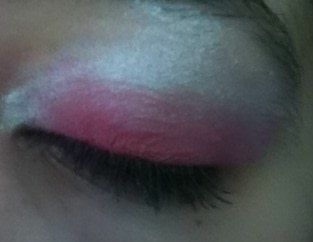 Apply white eyeshadow over your eyelid, faded towards your eyebrow. 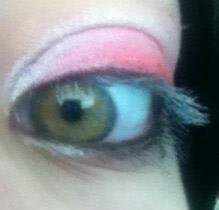 Apply the pink eyeshadow like this. 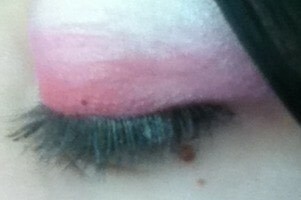 Fade the pink a bit, and near your eyelashes, apply some red eyeshadow, and mix it with the pink below it. 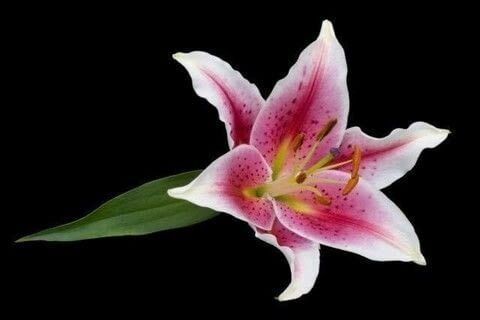 You see it better this way. 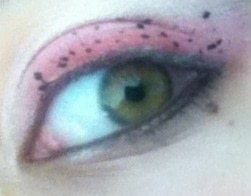 Grab your eyeliner and put some dots in the red/pink part. 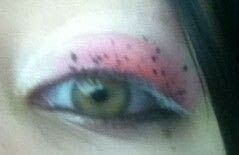 Apply eyepencil and mascara, if you didn't already and you're done!